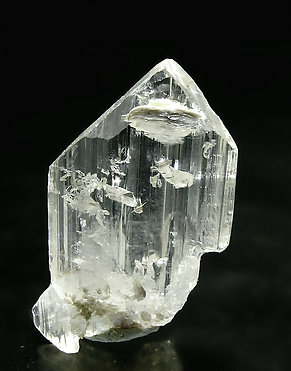 A clear prismatic crystal with very well defined faces and edges and curious inclusions. Its luster is excellent. One of the most conspicuous novelties of 2007 on China. The crystals, on matrix and with morphology very different to those from other classic localities, show an extraordinary definition of their faces and edges and an excellent luster. The locality seems to be correct but as usual on novelties from this country, we are waiting the time confirm it. 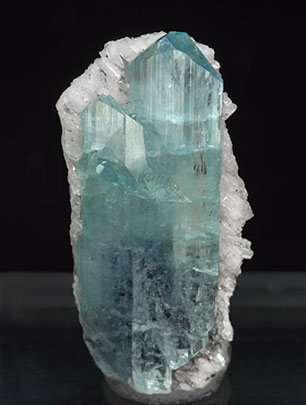 A sample of high quality, with a magnificent crystal, doubly terminated, transparent, bright and of an excellent aquamarine color. 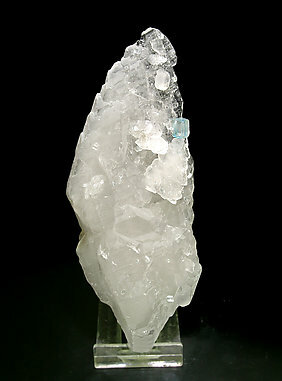 It is implanted on a floater group of flat Quartz crystals. 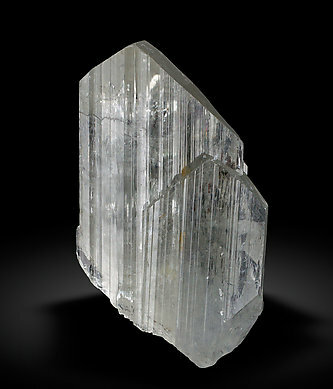 Parallel aggregate of very sharp Euclase crystals with very well defined faces and edges, transparent, bright, with a nice and uniform blue color. 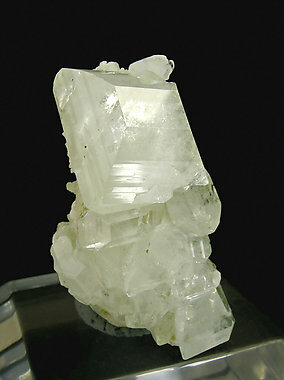 Partially coated by small white Calcite crystals. An excellent miniature. 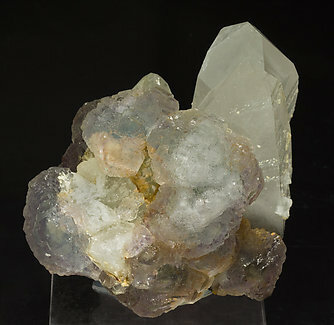 Group of octahedral crystals of Fluorite with echeloned growths on their faces. They are blue, are on a group of Quartz crystals and have a nucleus of Euclase crystals that are sharp, translucent and very bright. A very unusual association.